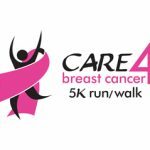 This year is the 18th Annual Care4 Breast Cancer Run/Walk 5K held on October 21, 2018. The race was started to fund breast cancer screening services for individuals that cannot afford to receive them. Each year the race is held at Woodstock North High School. 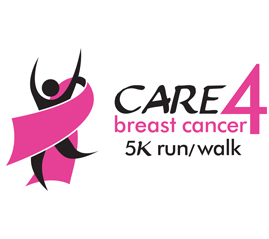 All net proceeds from the 5K Run/Walk go to Family Health Partnership Clinic’s Breast Cancer Fund. Approximately 500 volunteers combine efforts to organize this event. It would not be possible to host an event of this magnitude without these volunteers. They come from all walks of life: middle schools, high schools, colleges, civic groups, seniors, and the community at large. The Clinic has benefited from the generosity of so many participants. Over the years, the race has generated $160,000-$180,000 from donations. Interested in volunteering at this year’s 5K? Contact us to discuss the opportunities below! *Students may earn service hours from their participation. For more information or to volunteer, please contact Kathy Rauch, at 779-220-9318 or krauch@hpclinic.org. PICTURES ARE READY FOR YOU TO VIEW! Top fundraiser individual; Pam Spain! Top fundraiser team; Shutdown Cancer (Star 105.5)!